This sponge cake recipe belonged to my Grandmother, it must be well over 60 years old and was the standard birthday cake for me as a child. 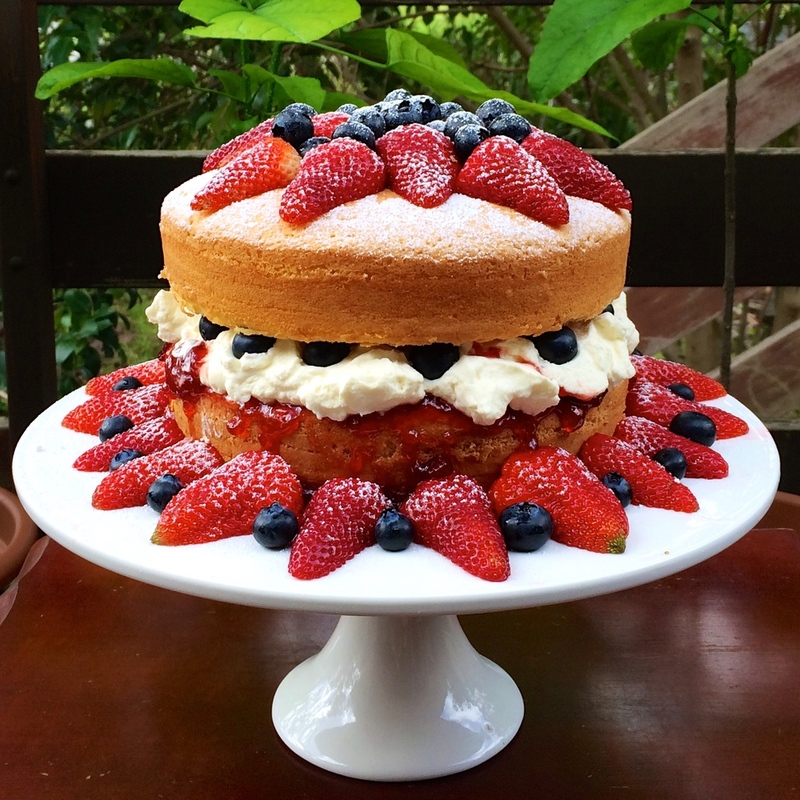 Sponge cakes are easy to prepare and when covered with fresh cream and fresh berries they make a very attractive cake for any occasion. This recipe is so old, it asks you to shift the flour not once, not twice but three times, it has to be a classic sponge cake recipe. Peheat the oven to 180 C or 160 C fan forced. Grease and flour two 18 cm sponge baking pans. Separate the eggs and reserve the yolks. Beat the egg whites with the salt until stiff peaks form. gradually add the sugar, one tablespoon at a time until the mixture is thick and glossy. sift the flour and baking powder together 3 times. fold the flour into the batter and then quickly add the butter mixture, add the vanilla. when baked, leave in the pan for 2 minutes before turning out onto a wire rack. when cold, spread jam and cream on one cake and place the other on top. dress with fresh fruit and dust with icing sugar.